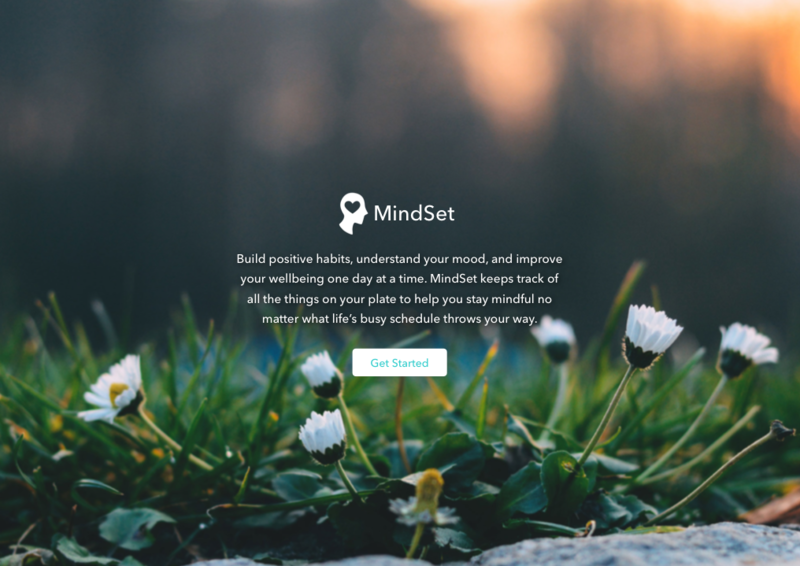 MindSet is a mood and habit tracking web app that aims to help users manage their stress by allowing them to track their weekly schedule (calendar data), to-do lists, and habits as well as other factors that affect their mood (such as exercise, amount of sleep, caffeine intake, etc.). 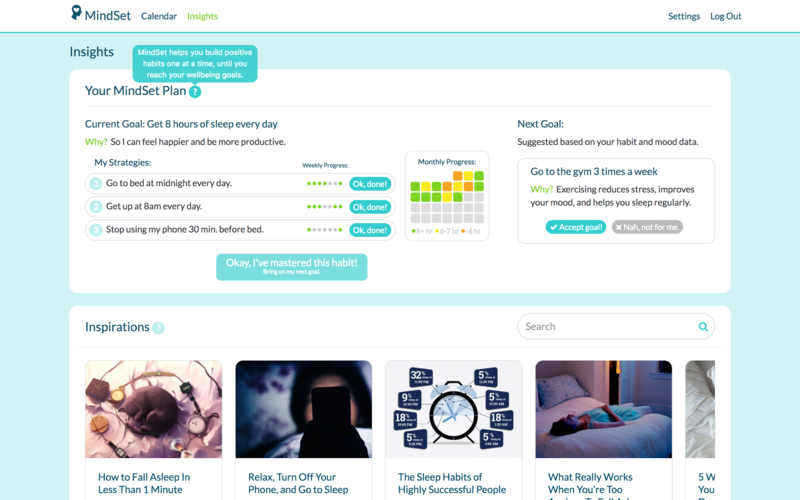 Inspiration for this app came from my personal experiences and the idea of promoting self-care, as well the quantified body movement which aims to use data to hack health and fitness. 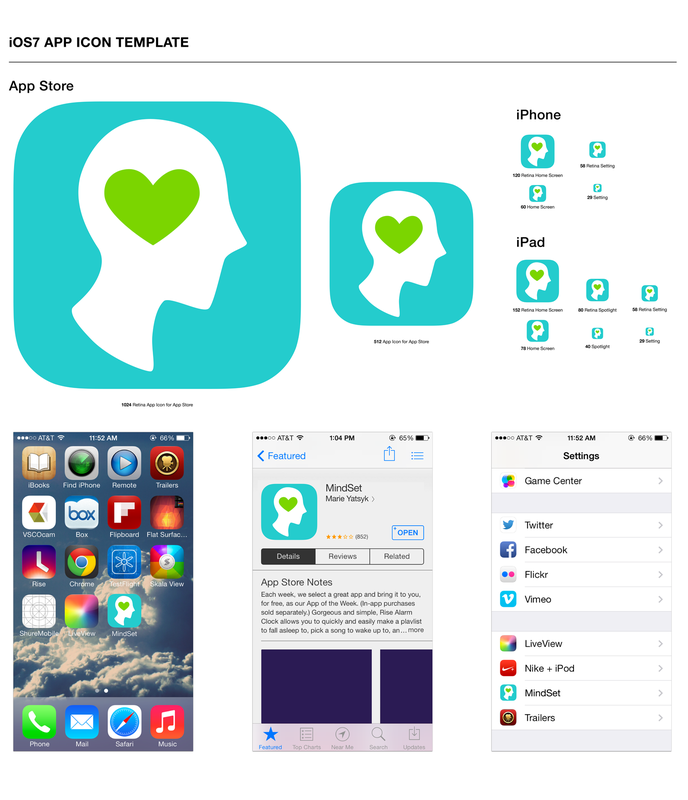 This app experience was designed as a class project for the Interaction Design I course at Northeastern University. 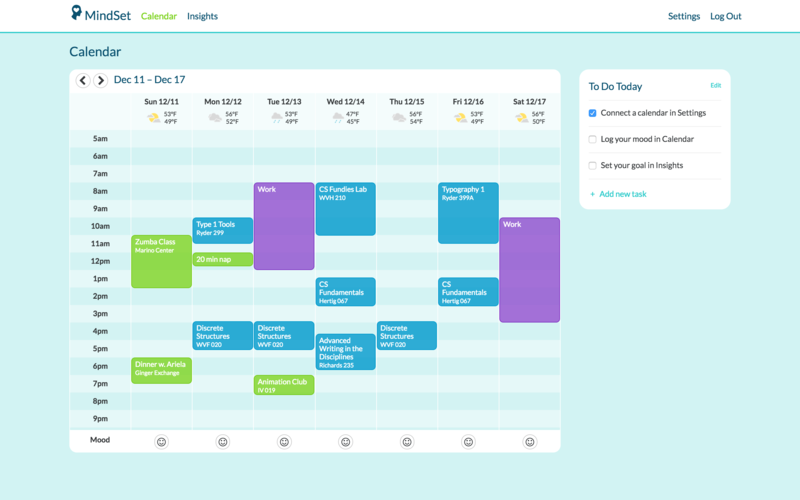 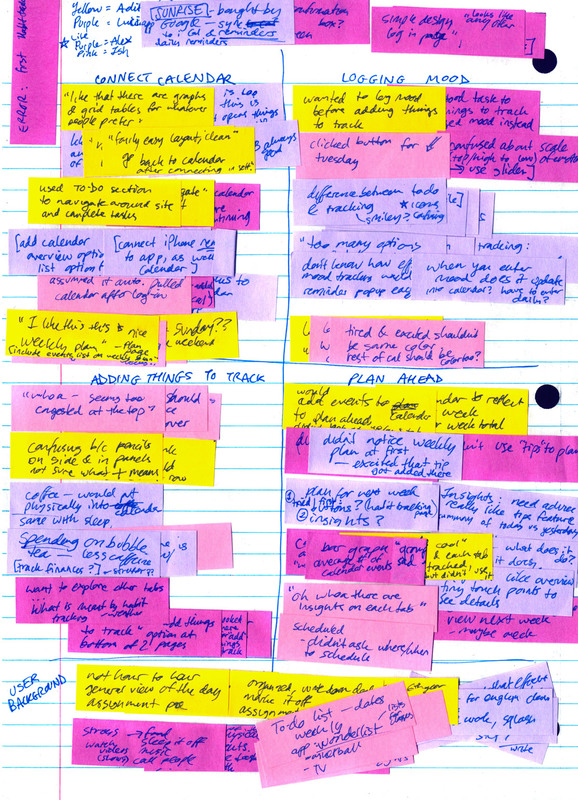 This app went through a series of iterations; I originally wanted to create a mental health tracker that could as a therapy tool, but after user testing I realized I wanted to focus more on users who wanted a simple, flexible way to manage their mood and well-being on a day-to-day basis.